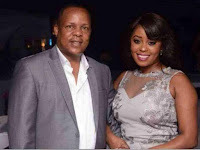 Wednesday, December 26, 2018- Citizen TV news anchor, Lilian Muli, had a Christmas from hell after she broke up with her wealthy baby daddy, Jared Nevaton Ombongi. On Christmas Eve, the screen siren took to Instagram to declare herself single claiming that Jared is a liar, manipulator and the coup de grace, community husband. “Holidays folks. I’m officially single and will now focus on raising my boys. Nobody should ever tag me in posts about Jared Ombongi who has previously been associated with me I disassociate myself from such links from today. As politicians say “I would rather die” than be linked to a polygamist! Narcissism is real. “Stay woke. I speak out because no one will ever embarrass me again. People ask why put your stuff out there? Well it’s because next time you see Mr Community husband don’t give him the credit of saying that’s Lillian’s man." her post read. 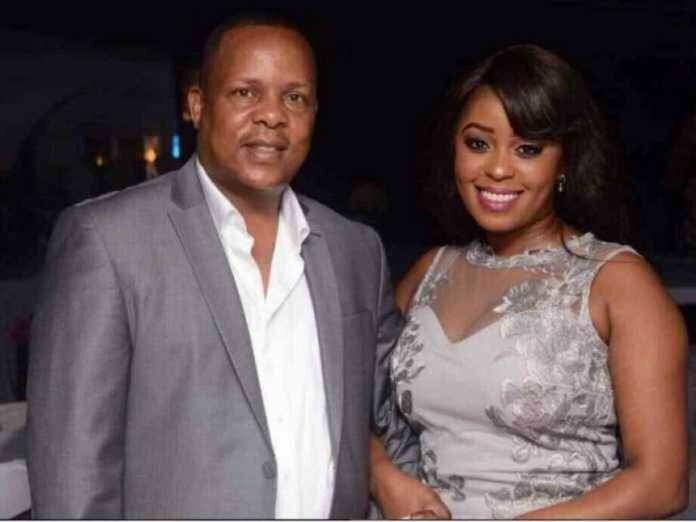 Mr. Jared who is a shadowy businessman and owner of Kisii based Football Club Shabana FC has allegedly hit back describing Lilian as a Jealous woman who could add nothing to the table other than walking naked in the house. "She was always on my phone. Wanted to know everything. She was just simply jealous and that couldn't work between us. Am happy that it has ended. "She could add nothing to the table other than walking naked in our house. She also had multiple boyfriends the reason I could not continue being in the relationship." Jared is quoted as saying. The couple met in 2014 after Lilian’s marriage with Moses Kanene was on the rocks and have been dating since. In June 2018 they were blessed with a baby boy called Liam with the pregnancy highly publicised. In November, they both graced a fundraiser for Shabana FC where they jointly donated Sh200, 000 for the struggling outfit. Community wife? or husband. They are both the same.